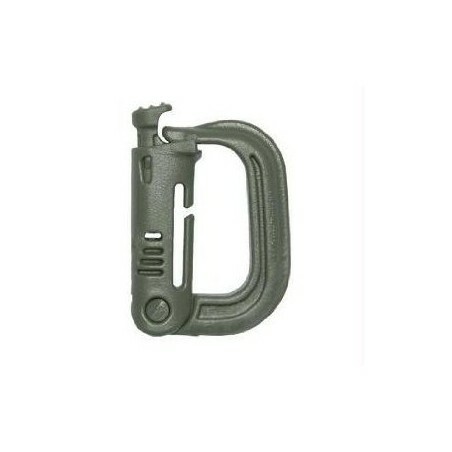 Military Carabiner Grimloc D-Ring Vest Backpack Keychain Clip Snap. Color is Foliage Green. Pack of 4. Government manufacturer is ITW Nexus. 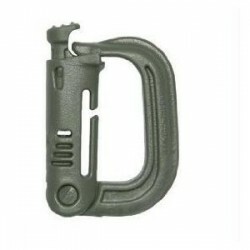 Official US Military Grimloc D-Ring Vest Backpack Keychain Clip Snap. GhillieTEX IR signature reduction technology. Lightweight but strong (not used for climbing). Made to attach to 1" webbing. One handed quick release. Qty of 4 clips are included in one order.